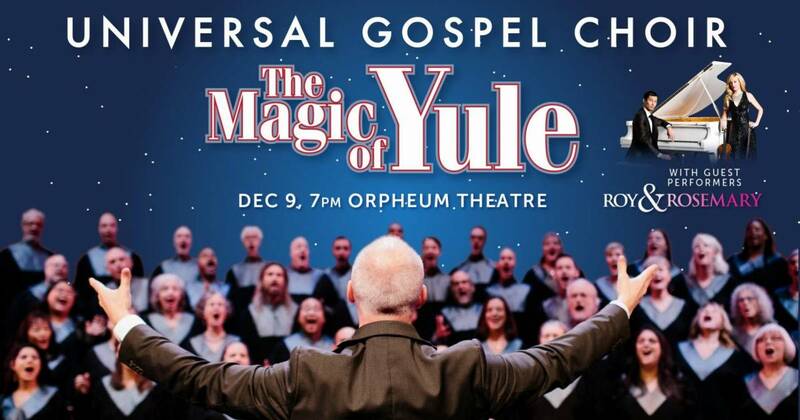 The Universal Gospel Choir (UGC) presents The Magic of Yule with guest performers Roy & Rosemary. Get ready to experience a magical evening at one of Vancouver’s most historic venues as UGC kicks off the Christmas season with their annual holiday concert, which is set to sell out quickly. To honour the majestic Orpheum theatre, the Choir, led by seasoned Artistic Director Lonnie Delisle, will be supported by the UGC Band – with Michael Creber on piano, Jay Nickel on bass, Jay Esplana on drums and Jay Leonard Juatco on guitar – and new this year, a full orchestra, with strings, woodwinds, and brass, bringing the music to life. This year’s concert will take you back to a traditional holiday experience as more classic songs are performed. 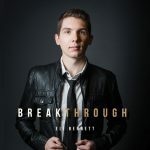 “Go Tell It On The Mountain”, “Hallelujah” and “Grown Up Christmas List” will join gospel classic “Take My Hand, Precious Lord”, and “Defying Gravity” from the hit Broadway play Wicked, as just a few of the unforgettable songs that will be performed. Special guests Roy & Rosemary are best known for the fusion approach to blending violin and piano. Adept at on-the-spot improvisations in various music styles, this duo are world-class recording artists known for their versatility, passion, musicianship and style. Based in Vancouver, Roy Tan and Rosemary Siemens met while accompanying The Tenors (formerly The Canadian Tenors) and have since performed in a number of venues, such as St. Peter’s Basilica at the Vatican, The 2008 Beijing and 2010 Vancouver Olympics, and Carnegie Hall in New York City.